It seems like the Fadnavis government has come up with a long-awaited and much needed gift for the Maharashtrians on the occasion of Marathi New Year or Gudi Padwa. A bulk of single-use plastic items like carry bags, thermocol, plates, cups, forks, bowls and spoons will very soon become a history in the state as the Maharashtra cabinet on Thursday decided to impose a ban on using them across the state from March 18. The decision will be enforced across urban and rural areas of the state. Failing to adhere to the laws, it will penalise both manufacturers and users. The punishment will attract a fine ranging from Rs 5,000 to Rs 25,000 and a jail term of three months. While there are incentives to the law abiders, in case of violation, proposal to slap a penalty such as non-renewing of licences for shops and industries also exists. 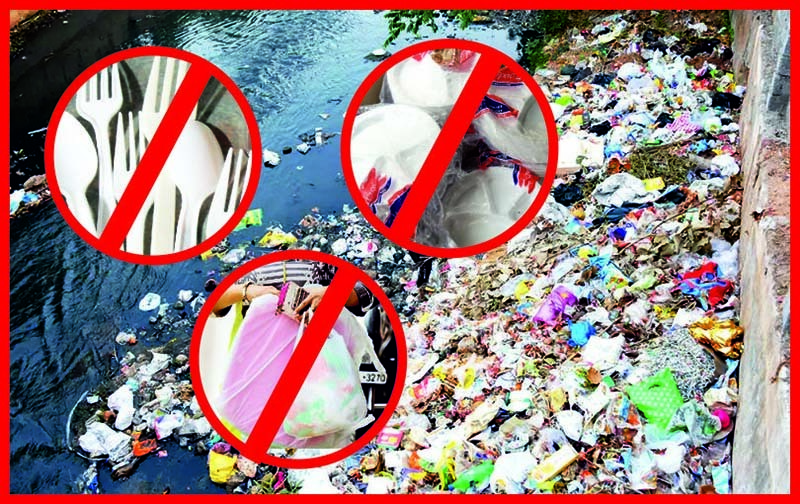 Though the draft of the proposed ban had also mentioned other plastic items such as flex boards, non-woven polypropylene bags, banners, flags, decorative door hangings, plastic sheets and all types of plastic wrappers, an official from the state environment department stated that an empowered committee under the Environment Minister Ramdas Kadam has been formed to discuss the ban on rest of the plastic goods. “The committee will prepare the roadmap for banning rest of the plastic goods. On Friday, a ban on plastic was approved in principle, but the committee will decide the further action plan,” the official added. This time, it has been reported that the government is planning to scrap plastic use in two phases that will include both short and a long-term policies to challenge the threats of plastic pollution. Referencing to environmental risks and public health hazards, the cabinet has put forth a firm stand to strictly enforce the ban in a time-bound manner.